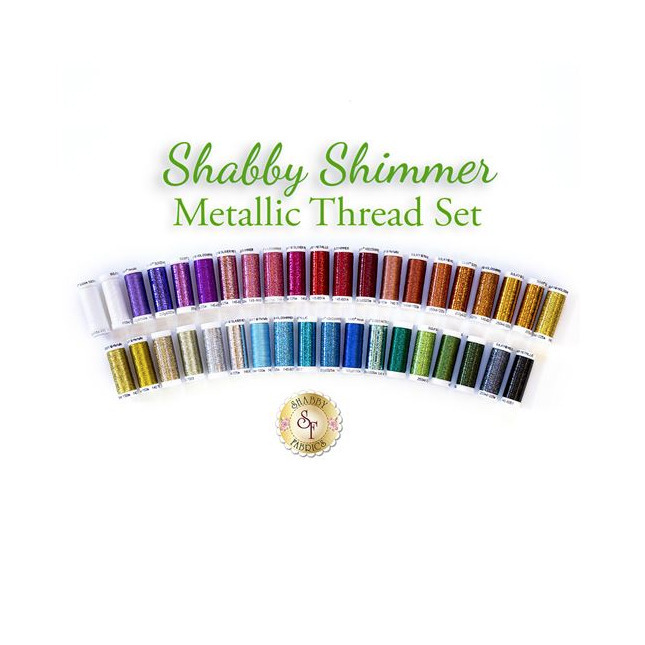 This 39 piece Shabby Shimmer thread set has been hand selected by Shabby Fabrics and contains a huge array of gorgeous Sulky metallic threads including Holoshimmer, Sliver and Original Metallic! We used these specialty threads to add sparkle and excitement to the 12 projects within the A-door-naments Club and the 12 projects within the Blooming Series Club! 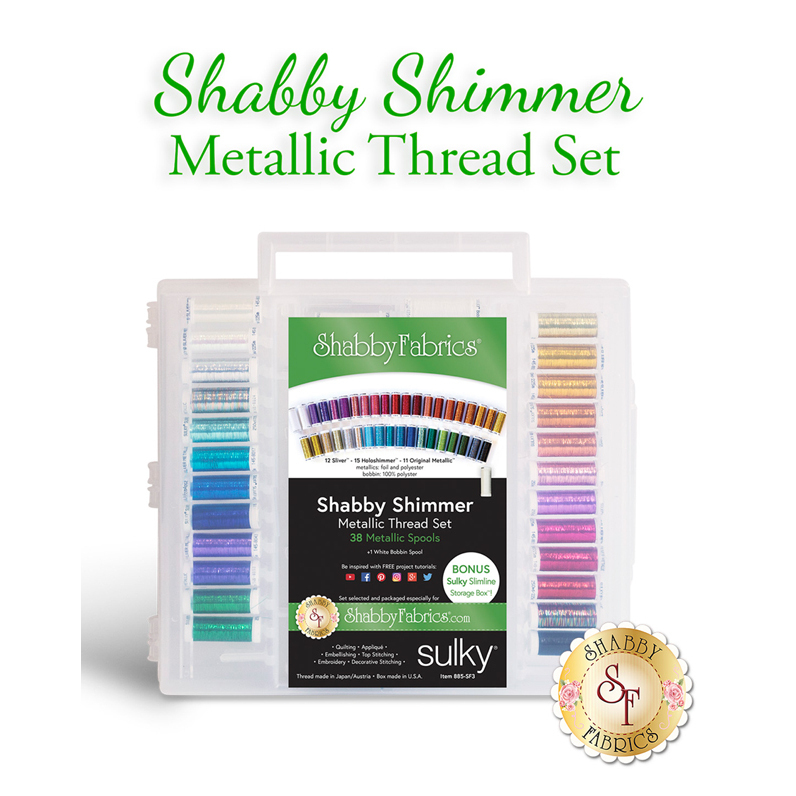 The thread arrives beautifully displayed in a convenient Slimline carrying case making it easy to stay organized and maintain all of your threads in one location! *PLEASE NOTE: This item ships FREE domestic, and incurs a separate international shipping cost, AND does not count toward the $75 Free Shipping for domestic customers.